Have you ever imagined of having Android Applications in our Windows Desktop PCs or Macs? May be you are allowed to download and install either Windows supported desktop version or Mac supported version of the application in your PC. But still you were not allowed to have an Android version in your PC. But now you can have the Android version of the application also in your desktop PCs. This became possible with the help of an application called BlueStacks. The word BlueStacks is not new to Windows Desktop users. Since they have been providing a tool to download and install Android applications on Windows PC for the past several years. 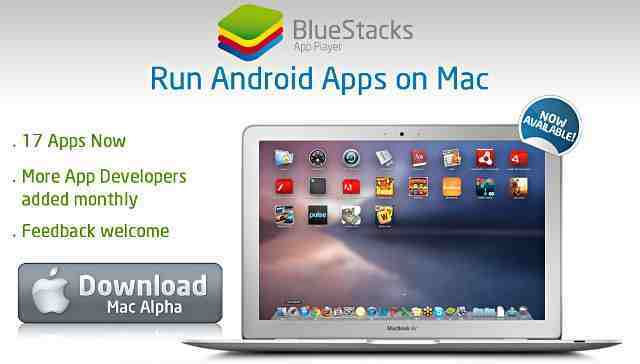 Now they started providing BlueStacks for Mac PCs also. You can download this one for free from BlueStacks.com. What does BlueStacks actually do? BlueStacks is actually a stimulator that allows the user to run certain Android applications especially on non-Android devices. With the help of touchpad and keyboard of your PC, you are able to control those Android Applications. In addition to that BlueStacks will provide extensive service by supporting your signals such as swiping and holding to zoom. One of the advantageous thing about this application is that they can have access to the camera, microphone and other hardwares of your Mac. You are aware of the fact that, most of the Android applications are meant to be used in smartphones. 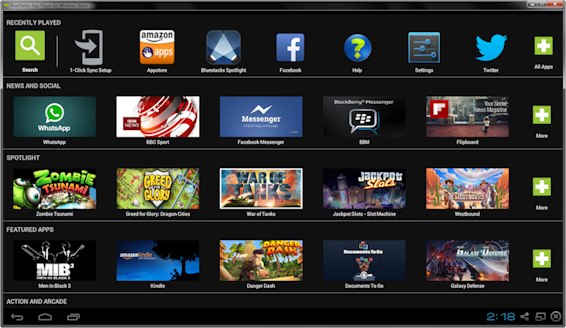 But with the help of BlueStacks, these applications can be conveniently used in your desktop PC. But still some of you will be confused about the fact that how these applications can function with the limitation of not having a touchscreen, but having a touchpad or mouse instead, to manage these applications.